"My message to French Jews is the following: France is wounded [along] with you and France does not want you to leave," Prime Minister Manuel Valls said on RTL TV channel. French President Francois Hollande joined, speaking in the northeastern commune of Montry, said that "Jews have their place in Europe and in particular in France." The French government’s statements followed the killing of two people in shootings in Copenhagen at the weekend and the subsequent calls from the Israeli premier. Benjamin Netanyahu reiterated the statement he made after the Paris attacks last month, in which four people were killed in a hostage-taking at a kosher shop. "Israel is your home. We are preparing and calling for the absorption of mass immigration from Europe. To the Jews of Europe and to the Jews of the world I say that Israel is waiting for you with open arms,” he said. "Extremist Islamic terrorism has struck Europe again... Jews have been murdered again on European soil only because they were Jews," the Israeli PM added. The French PM said he “regretted” Netanyahu’s words. 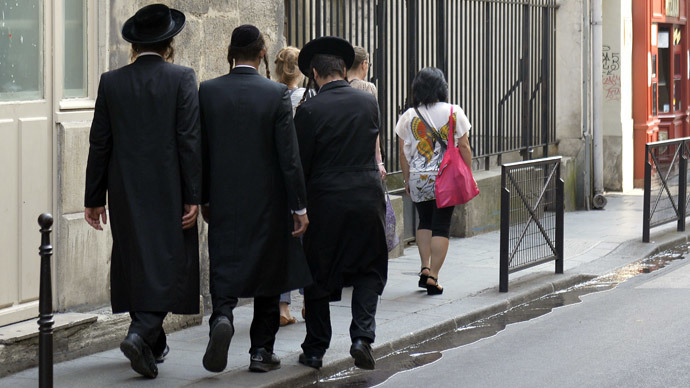 On Sunday, several tombs were defaced at a Jewish cemetery in eastern France, labeled “a despicable act” by the French government. Jair Melchior, Denmark’s chief rabbi, said on Sunday he was “disappointed” by Netanyahu’s call for immigration, stating that "terror is not a reason to move to Israel."